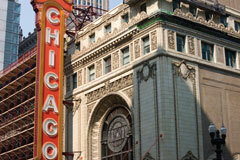 Please let me know if you or someone you know are coming to Chicago for the NAMI Convention in July. I will be “chairing” the Thursday Networking session. Hopefully we can find some time to get together. The following is an example of a workshop, "Welcomed and Valued - Understanding Mental Illness" that was done in Portland, Oregon. It was well received and contains the outline of the day, the opening prayer, the Theological Framework developed by the NCPD Council on Mental Illness, suggestions for individual and family support, and a "roadmap" for supporting people with mental illness in your parish. Excellent material for use in any workshop. Click on the pamphlet image for a downloadable copy. The “Choices in Recovery” website provides information and inspiration about Mental Health Recovery in relation to Schizophrenia, Schizoaffective, and Bi-Polar I disorders. The website is produced by © Janssen Division of Ortho-McNeil-Janssen Pharmaceuticals. 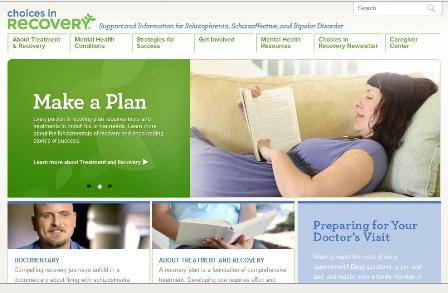 The web address is www.choicesinrecovery.com and looks to have a lot of good information on it. These adults may have a history of failure at school, problems at work, or difficult or failed relationships. Many have had multiple accidents. Like teens, adults with ADHD may seem restless and may try to do several things at once, most of them unsuccessfully. They also tend to prefer “quick fixes,” rather than taking the steps needed to achieve greater rewards. 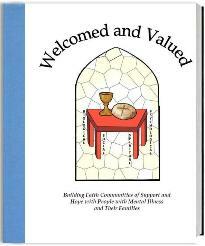 The Welcomed and Valued DVD and Resource Manual can be ordered on the NCPD website at www.ncpd.org/resources. The DVD Discussion Starters and the Resource Manual are both available online for a free download (Click here). We are hopeful of getting funding to do more one-day awareness workshops and three-day advanced trainings like those piloted in 2009 and conducted in 2010. The Council can also be a resource for people planning their own local meetings. Please let us know if we can be of assistance or if you know of any funding sources for our work. We invite you to tell us about your ministry. What are you doing, what are your hopes, and what are your struggles? One of our goals is to network ideas and ministries so that we can all share in the day-to-day life of people trying to make a difference by being Christ to one another. Please send all emails to me, Deacon Tom Lambert, at olmcinfo2@aol.com and put NCPD Council on MI Network in the subject line. You can also call me at 773-525-0453 if you have any questions or ideas, or for more information on workshops, DVDs, speakers, and our Resource Binder. Council on Mental Illness. Your help allows this effort to continue. 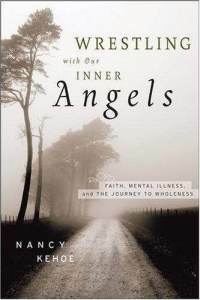 in reaching out to and accompanying our brothers and sisters with mental illness and their families, assuring their rightful place in the Church and society. spiritual, biological, psychological, and social. permission to use this logo.